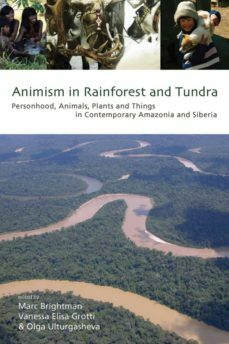 Amazonia and Siberia, classic regions of shamanism, have long challenged western understandings of mans place in the world. By exploring the social relations between humans and non-human entities credited with human-like personhood (not only animals and plants, but also things such as artifacts, trade items, or mineral resources) from a comparative perspective, this volume offers valuable insights into the constitutions of humanity and personhood characteristic of the two areas. The contributors conducted their ethnographic fieldwork among peoples undergoing transformative processes of their lived environments, such as the depletion of natural resources and migration to urban centers. They describe here fundamental relational modes that are being tested in the face of change, presenting groundbreaking research on personhood and agency in shamanic societies and contributing to our global understanding of social and cultural change and continuity.